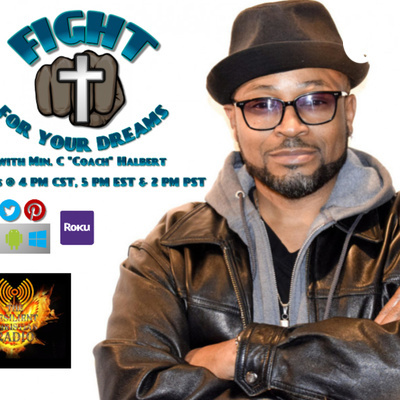 Your Dreams worth Fighting For, in Jesus Name. 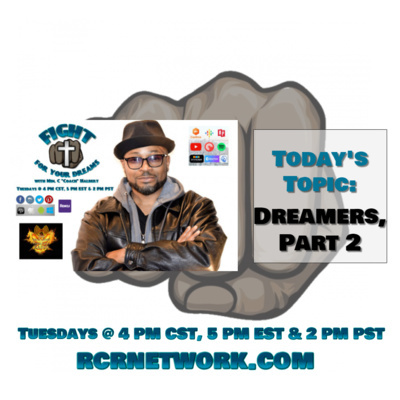 Listen to this broadcast on RCR Network on Tuesdays @ 4 PM CST, 5 PM EST & 2 PM PST. In all time dreams and their interpretation have been the occasion of much curious and speculative inquiry. Because of the mystery by which they have been enshrouded, and growing out of a natural curiosity to know the future, much significance has been attached to them by people especially of the lower stages of culture. Even the cultured are not without a superstitious awe and dread of dreams, attaching to them different interpretations according to local color and custom. The pain & strain that dreamers go through!! Whether God communicates directly or indirectly by dreams is still unsettled. With our present knowledge of spirit communication it would not seem unreasonable to assume that He may reveal Himself directly; and yet on the other hand the safest and perhaps surest explanation for our own day and experience is that in dream states the mind is more impressionable and responsive to natural causes through which God speaks and operates. That dreams have been and are valuable means of shaping men's thoughts and careers cannot be denied, and as such, have played an important part in the social and moral life of individuals and of society. Teaching listeners to encourage yourself & having a heart to encourage others. God is Love, so why do you want any other power? Without Humility, how can you be a Servant of God? The real issue that will stop fighting for your dreams is FEAR!